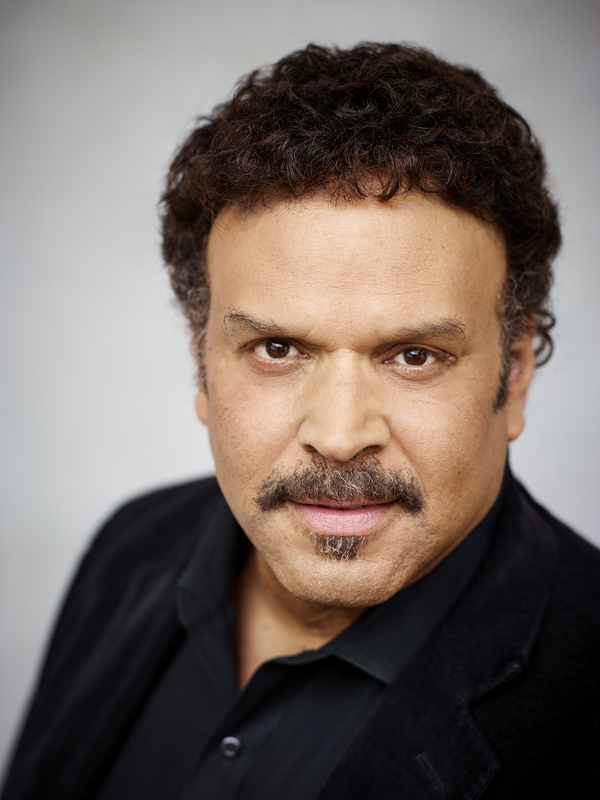 Two teens must learn the “art of killing” in the first book in a chilling new series from Neal Shusterman, author of the New York Times bestselling Unwind dystology. In a world where disease has been eliminated, the only way to die is to be randomly killed (“gleaned”) by professional reapers (“scythes”). Citra and Rowan are teenagers who have been selected to be scythe’s apprentices, and despite wanting nothing to do with the vocation, they must learn every method of ending life and come to understand the necessity of what they do. Only one of them will be chosen as a scythe’s apprentice. And when it becomes clear that the winning apprentice’s first task will be to glean the loser, Citra and Rowan are pitted against each other in a fight for their lives. The following questions may be utilized throughout the study of Scythe as targeted questions for discussion and reflection, or alternatively, they can be used to as reflective writing prompts. 1. The first entry from the gleaning journal of H. S. Curie states, “We must, by law, keep a record of the innocents we kill. And as I see it, they’re all innocents. Even the guilty.” Why does Curie see mankind as both innocent and guilty? In your opinion, does that matter? 2. Why can “gleaning” not be referred to as “killing”? Why does this society believe it’s socially or morally incorrect to call it such? Do you agree? How does the role of the scythe fit into that complex system? 3. Curie shares that “scythes provide a crucial service for society.” In what ways are her understanding of her work correct? From what you discovered in the novel, what are the biggest challenges to serving as a scythe? Can you think of any ways that the position offers benefits to the scythe? 4. As the novel opens, Honorable Scythe Faraday visits Citra’s home while he waits to pay a visit to their neighbor. His multilayered robe is described as “smooth ivory linen,” not black, because “black was an absence of light and scythes were the opposite. Luminous and enlightened, they were acknowledged as the very best of humanity—which is why they were chosen for the job.” Based on what you learn about Scythe Faraday, what can be inferred about his choice of robe color? What additional early information about him can be garnered by his interaction with both Citra and her family? 5. Citra thinks, “No surprise that people bent over backwards to please scythes in every possible way. Hope in the shadow of fear is the world’s most powerful motivator.” Do you agree? What role does hope have in motivating others? In what ways do people strive to accommodate and influence scythes? 6. After Citra asks Scythe Faraday about his age and is admonished by her mother, he tells them, “I like direct questions. They show an honesty of spirit.” What other qualities about Citra do you find Faraday is most drawn to? What is your analysis of her character? Is she someone you’d befriend if given the chance? 7. Consider what you’ve learned about Citra and Rowan. What is it about these two teens that make them seem like appropriate candidates as scythe apprentices? In what ways are they similar, and how are they different? Given what you discover about them, is there one character you like better than the other? If so, why? 8. Throughout the novel, Citra and Rowan learn that there is a right way to glean. Do you agree? Can you make a case for this component in this future society? 9. After learning more about Citra’s father’s historical research, Faraday declares, “The past never changes—and from what I can see, neither does the future.” Citra believes that to a degree, he is actually correct. Why have Faraday’s experiences left him feeling this way? Do you agree with his assessment? Why is it important to continue to study the past and look for fresh perspectives about history? 10. After meeting Rowan for the first time at Kohl’s gleaning, Faraday tells Rowan, “You stood your ground for a boy you barely knew. You comforted him at the moment of his death, bearing the pain of the jolt. You bore witness, even though no one called you to do so.” Why does this act impress Faraday so much? 11. Faraday tells Rowan, “Remember that good intentions pave many roads. Not all of them lead to hell.” What do you believe he means by this statement? Do you agree? Why or why not? 12. Did learning that Scythe Faraday attends the funerals of those he gleans surprise you? For what reason do you think it’s significant that he does this? 13. Review the Scythes’ Commandments. Is there anything about these mandates that you find unusual or surprising? 14. In the instructions Faraday gives Citra and Rowan, he tells them, “You shall study history, the great philosophers; the sciences. You will come to understand the nature of life, and what it means to be human before you are permanently charged with the taking of life. You will also study all forms of killcraft, and become experts.” What do you believe are his motivations to have his apprentices study both the arts and sciences? How does this benefit them and their potential future work? 15. Based on your initial impressions of Scythe Faraday and what you learn about him over the course of the novel, does your opinion of him change in any way and if so, how? How was his leadership style different from that of Scythe Curie and Scythe Goddard? Do you see Citra or Rowan being more aligned with Faraday’s philosophies about mankind and gleaning? In what ways might this impact the two apprentices? 16. Rowan tells Volta, “I know you’re not like the others.” Do you agree with Rowan’s assessment? In what ways are Rowan and Volta alike? Are there any ways they are different? 17. Volta states that Scythe Goddard is “the future.” Given what you have learned about the new guard of scythes, what makes that so disconcerting? What do you believe motivates Goddard to behave the way he does? 18. During their sparring match, why does Citra become so angry at Rowan’s actions? For the pair, how does the knowledge that only one of them is to survive make them feel? In what ways do each of them work to protect the other when they are forced to fight? 19. Why does Citra become so committed to understanding the details of Faraday’s last day? Do you think she is right to grow suspicious about his death? Consider the consequences of her actions: How does her need to learn what happened put her in danger, and why are those involved in his death so worried the truth will be revealed? What was your reaction to the realization that things may not be as they appear? 20. Compare the traditional scythes to the new celebrity scythes. In what ways do these two groups take the understanding of their work differently? How do those differences ultimately impact the citizens in their world? 21. Compare the ways in which Citra and Rowan deal with each other and their apprenticeships. What can be learned about the character of each from these interactions and relationships? 22. Given the ending of Scythe, share your predictions for the next installment of this thrilling series. 1. The gleaning journal of H. S. Curie states that “People used to die naturally. Old age used to be a terminal affliction, not a temporary state. There was pain, misery, and despair.” How does this future world without diseases, aging, transportation crashes, and “danger lurking in every unseen, unplanned corner” compare to the world you know? After completing your reading of Scythe, write an essay that analyzes these two worlds. 2. Faraday states, “A scythe is merely the instrument of death, but it is your hand that swings me. You and your parents and everyone else in this world are the wielders of scythes. We all are accomplices. You must share the responsibility.” Consider Faraday’s words. Based on what you know about your world and his, do you agree? Compose a response to Faraday where you share your position. 3. For Citra and Rowan, being selected as a scythe’s apprentice has obviously had a profound impact on their lives and their relationships with others. Throughout the novel, as they learn more about the role and responsibility of being a scythe, they become increasingly empowered to take control of their lives and choices. After taking a moment to reflect on your life’s most personal challenges, draft a journal or diary entry focusing on the ways you’ve already overcome obstacles and listing the strategies you plan to use to deal with those you are still facing. 4. 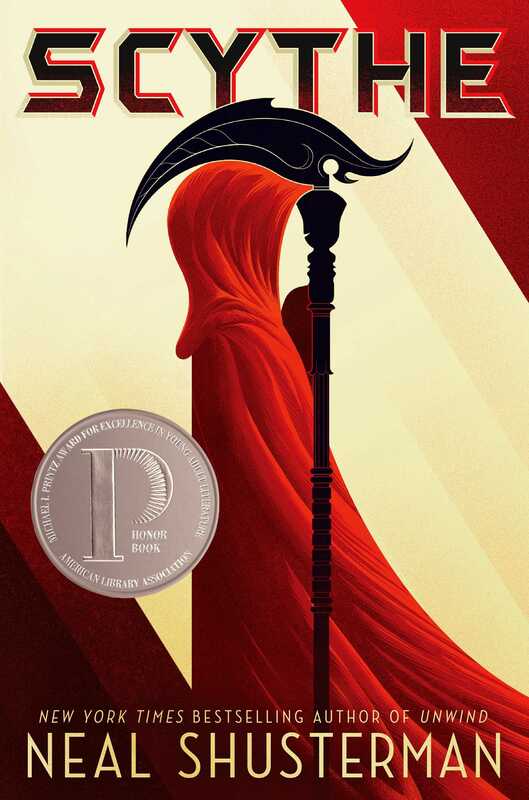 Throughout Scythe, Shusterman infuses his story with rich, powerful, figurative language. Embark on a literary scavenger hunt throughout the book to locate your favorite examples of phrases or quotes. Create a sharable quote card image to be published on a social media site of your choice. 5. While the novel focuses on the relationship between Scythe Faraday, Citra, and Rowan, Shusterman introduces us to a number of secondary characters who face their own hardships or need the opportunity to have some self-awareness. Select a secondary character in Scythe and write a letter of advice to him/her. You can choose to be serious or funny, just make sure your advice fits the character’s needs. 6. Throughout Scythe, a number of characters exhibit acts of bravery. Consider the individual actions of these characters. Who do you believe to be the most courageous? Write a letter to that character explaining why you believe his/her actions are so brave. 7. Assume the role of one of the secondary characters in Scythe and draft a diary entry detailing what you experienced and witnessed. To prepare, create an outline using the five W’s (who, what, when, where, and why). Remember to write in first person and give special attention to sensory imagery (what you saw, smelled, heard, etc.). 8. Consider the shift in philosophy from our world where a digital network “cloud” and artificial intelligence is feared to a future where a “Thunderhead” provides a “perfect world.” Do you believe utopias are possible? Here in the United States, a number of utopian communities have been established over time. Select a community or society to research, making sure to explore the principles that guided the community as well as the assumptions about those core beliefs. For what you learn, share why you believe this community was ultimately unable to sustain itself. This guide was created by Dr. Rose Brock, an assistant professor in Library Science Department in the College of Education at Sam Houston State University. Dr. Brock holds a Ph.D. in Library Science, specializing in children’s and young adult literature. "Elegant and elegiac, brooding but imbued with gallows humor, Shusterman's dark tale thrusts realistic, likeable teens into a surreal situation and raises deep philosophic questions. A thoughtful and thrilling story of life, death, and meaning." when our essential humanity doesn’t burn out but becomes slowly irrelevant, what becomes of us?